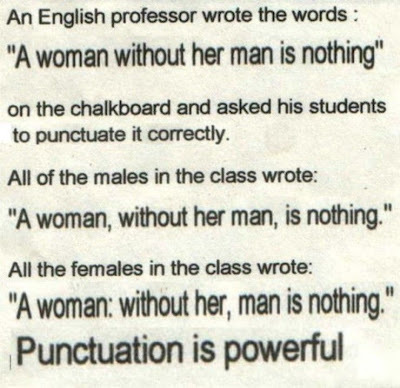 Yellowdog Granny reminds us of the power of punctuation. The state of Virginia has been an important part of American history since before the United States was even conceived of as a country, and it has been the home of some of our biggest American heroes -- like Founding Fathers George Washington and Thomas Jefferson. With this kind of rich historical heritage, one would think the state's school system would take teaching history very seriously. Sadly, that doesn't seem to be the case. I posted back in October about a grievous error in the state's new history book. The book said, "Thousands of Southern blacks fought in the Confederate ranks, including two black battalions under the command of Stonewall Jackson." The book's inference was that the Civil War couldn't have been fought over slavery since thousands of blacks fought for the South. The problem with the claim (and the inference) is that it simply is not true. • The War of Independence began in 1775, not 1776. • George Washington did not preside over a Continental Congress in 1785, he presided over the Constitutional Convention in 1787. Many of the state's school districts have already spent millions of dollars to buy the book and are now trying to figure out what to do. Some districts are saying they may use the textbook and depend on teachers to correct the errors for students (with a supplemental guide pointing out the mistakes). I know we are in the middle of a recession and school money is precious, but how can they condone using such a book? Perhaps they should go back to the old books they were using before purchasing these ridiculous textbooks -- at least until they can afford a copy without so many mistakes (and the publisher claims they have no obligation to replace the books without further pay). 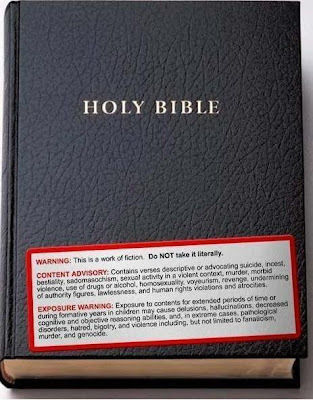 I have to wonder how this book slipped through the review process. Surely they have someone checking the books they buy. Obviously the process of reviewing textbooks needs to be fixed. And maybe the publisher should be sued for producing such a shoddy product. Being Liberal Or Conservative - Not A Choice ? It has always been assumed that being either a liberal or a conservative was a political choice (and perhaps a moral or ethical choice) made by each individual, and influenced by our parents, our environment and our experiences. This just seemed to be a common sense assumption. But a recent study shows this may not be true at all. Recent studies at University College London in England show that the brains of conservatives and liberals have significant differences. They studied the brains of some members of parliament and a number of students. Those who were conservative had brains with larger amygdalas -- an area of the brain associated with anxiety and emotions. The liberals had a larger anterior cingulate -- an area of the brain associated with courage and look on the bright side. If this is true, and the correlations fit in every case, then it is possible that our political views are not really a choice -- but that our brains are "hard-wired" to make us either conservative or liberal. That would mean it was futile to try and convert a conservative or liberal to the other way of thinking -- not something most of us political junkies (on either side) would like to believe. The flaw in the study is that it was only done on adults. Therefore it can't be certain that the brain determined the political belief. It may be that the political belief determined the brain development. The only way to know for sure which it is would be to examine the brains of a large number of children and then wait to see which political belief they embraced after becoming adults -- something that would takes years to determine. The lead researcher (Professor Geraint Rees) said, "We were very surprised to find that there was an area of the brain that we could predict political attitude. It is very surprising because it does suggest there is something about political attitude that is encoded in brain structure through our experience or that there is something in our brain structure that determines or results in political attitude." Personally, I hope this is not true. I prefer to think of political beliefs as a choice -- as a decision that can be changed with facts and reasoning. But I did find the study to be interesting. The above picture is of one of the most famous World War II posters produced in America. It was painted in 1942 by J. Howard Miller for the United States government, and was used to motivate the civilian population to join the war effort -- especially to recruit women to work in war production plants. 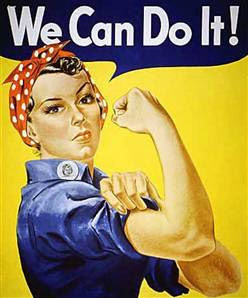 Most Americans came to know the woman pictured as Rosie the Riveter. Her real name was Geraldine Doyle. As a 17 year-old she was hired as a metal presser in a steelworks factory, and a UPI photographer took her picture when he toured the factory. Artist J. Howard Miller later used that picture as the model for his painting for the government. The strange part is that even though the poster was widely distributed and has achieved a certain fame in American pop culture, Doyle never knew she had been the model it was based on for over 40 years. Doyle was reading an AARP magazine in 1984 and saw her picture, which the magazine said was the inspiration for Rosie the Riveter. In her later life she would autograph Rosie the Riveter t-shirts, posters and memorabilia, never charging for it. In fact, she never made any money at all as the inspiration for the famous poster. Perhaps the strangest part of her story is that she only worked at the factory for about two weeks. When she heard of another woman injuring her hand there, she quit and went to work at a soda fountain and book store. She was a cellist and didn't want to take the chance of hurting her hands. She later married a dentist and had five children. Last Sunday she died at the age of 86 in Lansing, Michigan. While she may have only worked in a defense factory for a couple of weeks, her picture inspired countless Americans and was invaluable to the civilian war effort. And she died as a pop culture icon. Her alter ego as Rosie the Riveter will live forever. 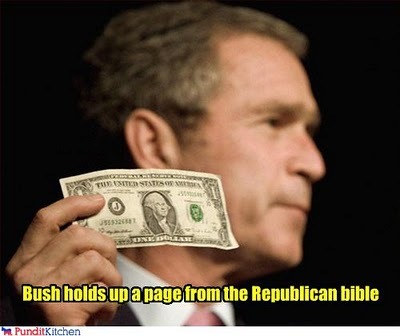 And the Republican pandering to the rich shows they'd like to add a whole bunch of new pages to that book. From the site of Pundit Kitchen. Iran and the United States are not friends. In fact, it would not be a stretch to say they are enemies. Because of that, a lot of Americans misunderstand Iran. They assume that because the Iranians are muslims and are not friendly to the United States, they must be allies and supporters of al-Queda and the Taliban. That is simply not true. Even though they have a muslim theocracy, the Iranians understand the danger posed by muslim extremists like al-Queda and the Taliban. Yesterday, the Iranian government announced the arrest of seven members of al-Queda near their border with Iraq. And this is not the first time for them to take this kind of action. They have arrested hundreds of al-Queda members. 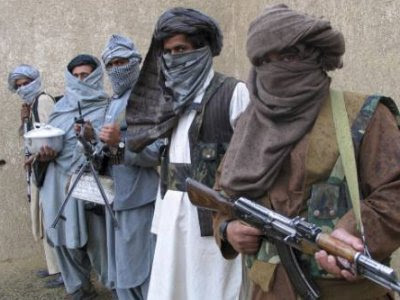 After the United States invaded Afghanistan and knocked the Taliban out of power, hundreds of al-Queda members and their Taliban supporters fled the country. Several hundred of them crossed into Iran. They did not find a safe haven there. The Iranians arrested them and expelled them from their country. They also made copies of their passports and turned them over to the United Nations. 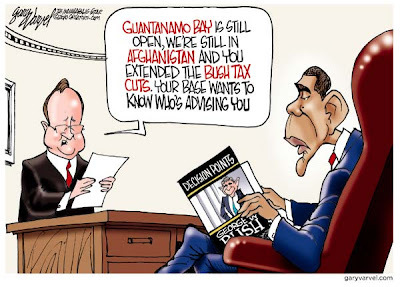 And they allowed the United States to interrogate some of the suspected al-Queda members. I'm sure that surprises many Americans, who would like to lump all U.S. enemies (especially muslims) into the same group. But muslims are not a homogenous group any more than christians are. The Iranians are trying to become a modern developed nation, and they know the Taliban-type extremists would destroy any hope of that. Years ago, when the USSR was struggling to support the communist-friendly government of Afghanistan, the United States supported the insurgents in Afghanistan. The U.S. gave them money and weapons, which they used to expel the Russians and then take over Afghanistan. Those insurgents became what is now known as the Taliban, and they supported al-Queda with their terrorist goals. We now have the chance to make that same mistake again. 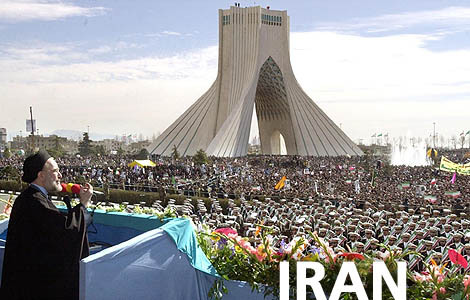 There are groups that would like to overthrow the Iranian government. A couple of these groups are the Jundallah and the People's Mujahedeen. These are groups who are the equivalent of the Taliban. It would be a serious mistake for the United States to think these groups are friendly because they oppose the current Iranian government. It would just be a repeat of the mistake the U.S. made in Afghanistan -- to turn an enemy into a terrorist state that would support attacks on the United States. 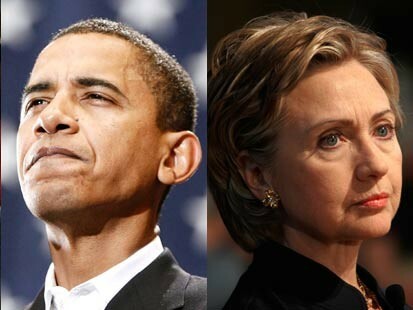 Iran is bad enough as it is, but it could be a whole lot worse. We must be careful to not repeat past mistakes. 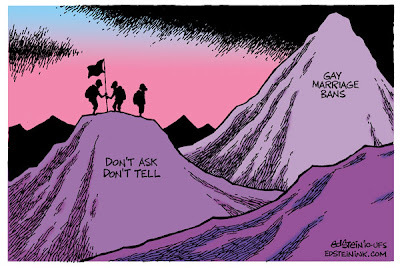 The truth is that the enemy of your enemy is not always your friend -- that was proven in Afghanistan. 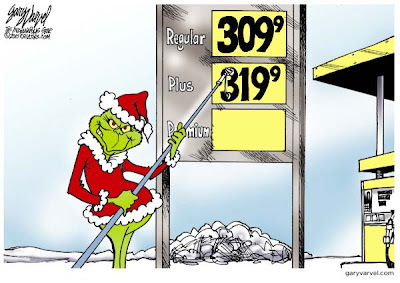 Political Cartoon is by Gary Varvel in The Indianapolis Star-News. 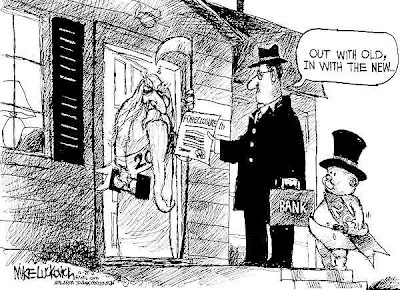 The pundits and the politicians would like for Americans to believe the country is finally beginning to pull itself out of the recession. After all, Wall Street and the huge corporations are doing great. They are making record profits and getting record bonuses. But don't let that fool you. 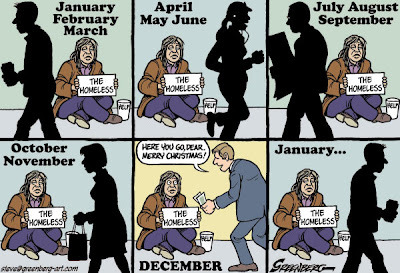 For most Americans the recession rages on. The unemployment rate is still very high and shows no chance of improving any time soon -- the real rate being somewhere near 18% (approaching the levels of the Great Depression). And corporations keep sending more and more good American jobs to other countries (where they can exploit the poverty wages being paid in those countries). 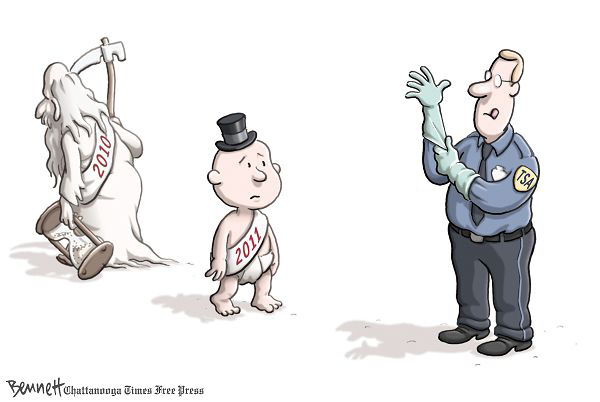 The truth is it could take years, if ever, to replace the millions of jobs lost in the last three years. But the unemployment numbers are not the only indicators of the continuing pain of recession being felt by ordinary Americans. Another is the large number of home foreclosures. In the third quarter of 2010 there were 382,000 new foreclosures -- more than a 31% jump over the previous quarter and a 3.7% increase over the third quarter of 2009. 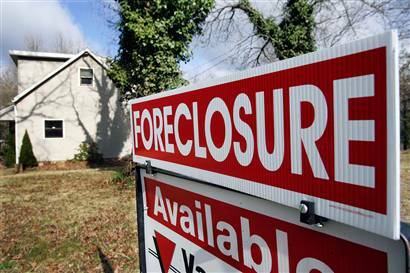 That means the number of foreclosures currently in progress has now climbed to a whopping 1.2 million homes. That's a 10.1% increase over one year ago, and the figures a year ago were already too high. The recession isn't just continuing for many Americans -- it's getting worse. 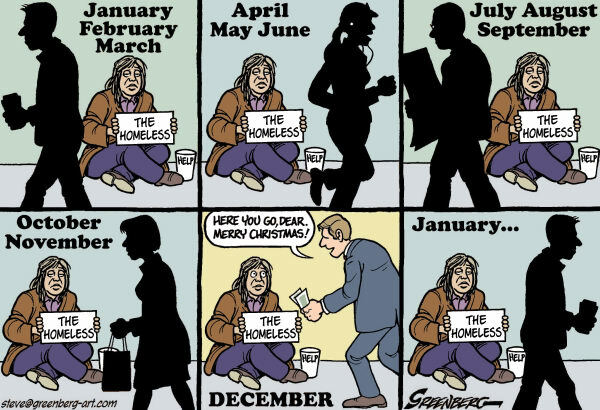 With record numbers of jobless and homeless Americans, is it any wonder that currently at least 14% of the population finds it necessary to go on food stamps to feed their families -- a number that is growing with each passing month? And what is the solution being offered by Congress? 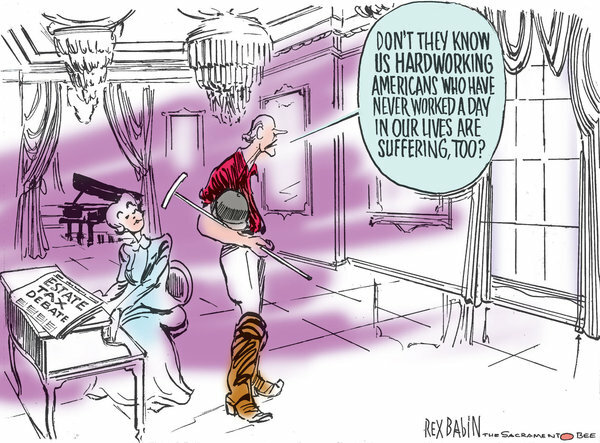 Massive tax cuts for the rich -- the only people in America who don't need help. The last election showed that Americans are angry -- with both political parties. And they should be. It seems like the politicians of both political parties had lost contact with reality (and with real Americans). Ordinary Americans need help. They are not getting it from Washington, DC. And with Republicans, who demanded the tax cuts for the rich, taking over the House of Representatives things are not going to get any better in the next two years. Americans might as well get used to the pain. It's not going away soon. Texas leads the nation in a lot of dubious categories -- things that give all Texans a measure of embarrassment. But this one is different. It's not just embarrassing -- it's tragic. For the current year, Texas leads the nation in the deaths of law enforcement officers. 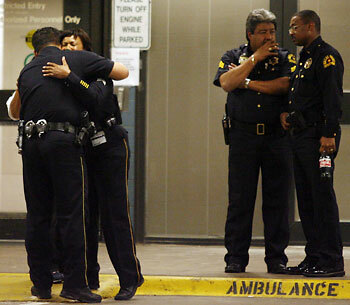 During 2010, there were 19 police officers killed in the state of Texas. It is the third year in a row that Texas has been in the top five states in police fatalities. California had 11 police deaths and Florida had 9 police deaths -- and both of those states have joined Texas in the top five for the last three years. Nationwide, there were about 161 police deaths -- up from 117 in 2009. While that shows a 37% increase over 2009, the sad fact is that the 2010 figure is really close to the norm -- police deaths have topped 160 five times since 2000. It was the low figure in 2009 that was the anomaly. Sixty officers (federal, state and local) were killed by gunfire. Another 73 officers died in traffic accidents. The death of even one police officer is too many, but the fact that it is fairly normal for as many as 160 officers to be killed in a single year is horrifying. 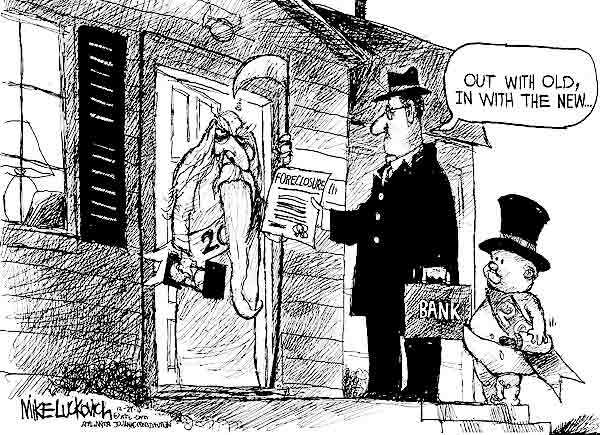 It brings home just how dangerous a job we expect them to do (and which they do very well) for very little pay. 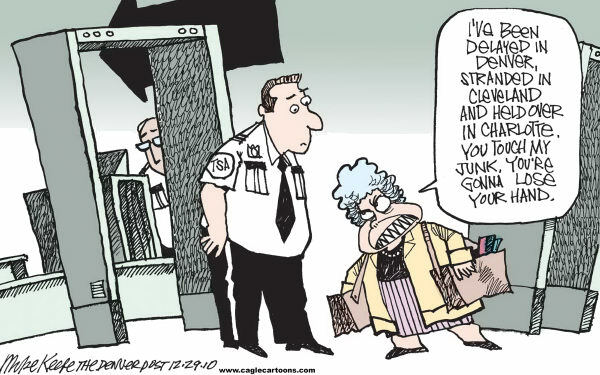 I know there are a few officers who step over the line each year and make all police officers look bad. But the truth is that most officers do an excellent job, and put their lives on the line every day to make this a safer world for the rest of us. It wouldn't hurt us to take the time to say thank you to the next officer we see. 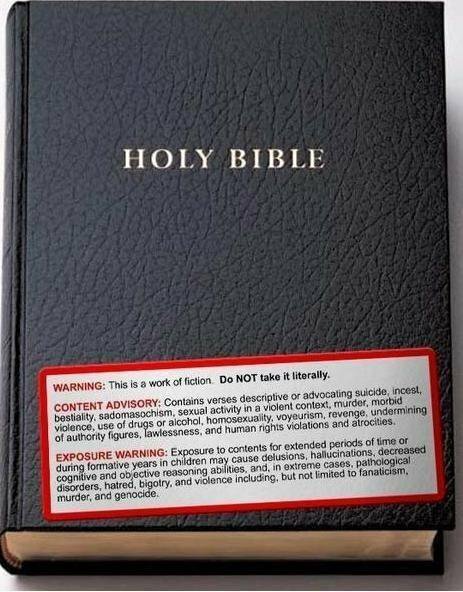 If any book ever needed a warning label (parental advisory), this is it. 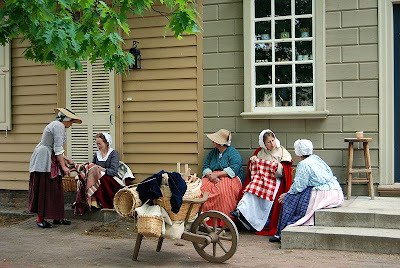 Found at the excellent blog of Yellowdog Granny. On of the big campaign promises of the Republicans in the last election was to do away with the pork barrel spending in Congress -- and they said they would do this by eliminating the congressional practice of "earmarking" (congressmen designating millions of dollars of spending for their own districts and slipping it into bills to be passed). In fact, the Republican caucus made a big show of voting to eliminate earmarks and dared Democrats to do the same. Mission accomplished. Right? Well, no. It seems that these same congressmen/women that made such a production of doing away with earmarks weren't really serious about it. 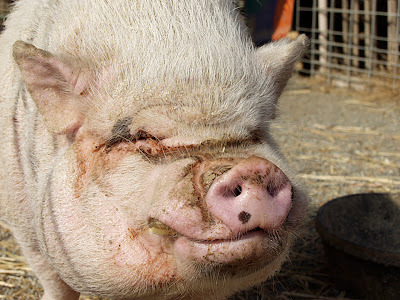 The ban on earmarks was just to make themselves look good to the general public. 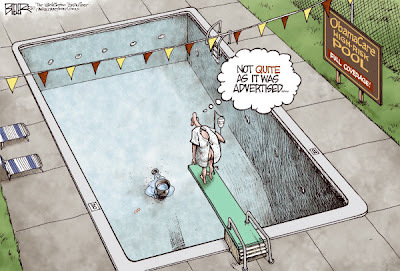 The wasteful spending goes on, it has just taken a slightly altered form. According to the New York Times, earmarks have been replaced by lettermarking, phonemarking or soft-earmarking. Lettermarking is when a congressperson writes a government agency a letter asking for certain funds for his/her district or state. Phonemarking is when they do the same thing with a phone call to the federal agency. And a soft earmark is when a congressperson "suggests" an agency direct certain funds to his/her district or state rather than inserting it into law. The congresspeople doing this claim it is not the same as earmarking because they are only asking and the agency asked has the final discretion on where to spend the funds. What a gigantic load of horse manure! What agency head in his right mind is going to ignore a request from a congressperson -- the very people who decide how much money his agency will get the following year? A failure to fund very many of these requests could find the agency unfunded in the next budget (or at the very least the agency's budget could be slashed). Congress, for all it's protestations and campaign promises, never intended to do away with earmarks. They just do it in a sneakier way now. Once again, the voters have been lied to. But we expected that, didn't we? On a recent trip to Afghanistan, President Obama told the troops and reporters, "Today we can be proud that there are fewer areas under Taliban control and more Afghans have a chance to build a more hopeful future." A coalition official echoed those comments saying that coalition forces "have taken the offensive and are making deliberate and steady progress." If that is really true, I have to wonder why when the United States met with NATO recently the withdrawal target was moved from the end of 2011 to the end of 2014. If coalition forces are being so successful, why is an additional three years needed? 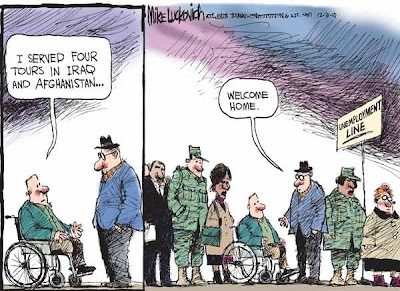 The truth is that either the president has been misinformed or he was telling a lie (to make the troops and other Americans feel better about a war we cannot win). The United Nations, under whose auspices the war is being fought, has official maps that tell a different story from that being expressed by the president and military officials. These maps divide the country's many districts into ratings of very high risk (red), high risk, medium rish and low risk (green). Last March, the maps showed the southern parts of the country as red, while the northern parts were green. Since that time, the coalition troops have conducted intense fighting in the south. They did capture some Taliban strongholds, but as the Wall Street Journal reports, "Though no longer under uncontested Taliban control, most of these areas remain a war zone, with frequent shootings and bombings." The south has not been pacified. And unhappily, the maps for October showed that while the south remains very high risk, many areas in the formerly low risk north have now become high risk areas -- mainly because troops were pulled out of these areas to fight in the south and insurgents moved back in. The U.N. wouldn't comment on the maps, but spokesman Kieran Dwyer did say, ". . .the security situation in many parts of the country has become unstable where it previously had not been so. There is violence happening in more parts of the country." In addition, the NGO Safety Office says that insurgent attacks are up 66% in 2010. 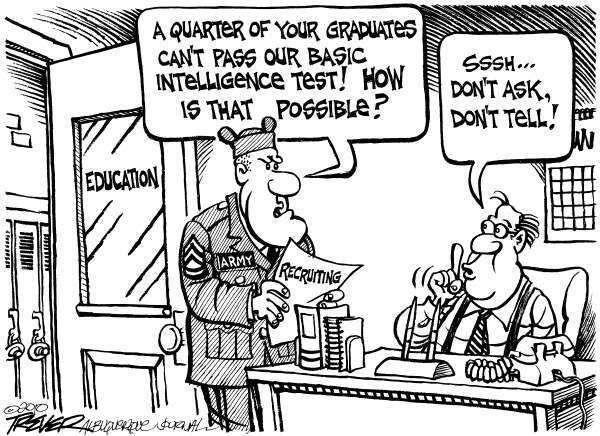 The latest Pentagon report puts that figure a little higher -- at a 70% increase. This means that not only have coalition forces lost ground in the amount of area they declare as safe from attack, but the attacks are up significantly. 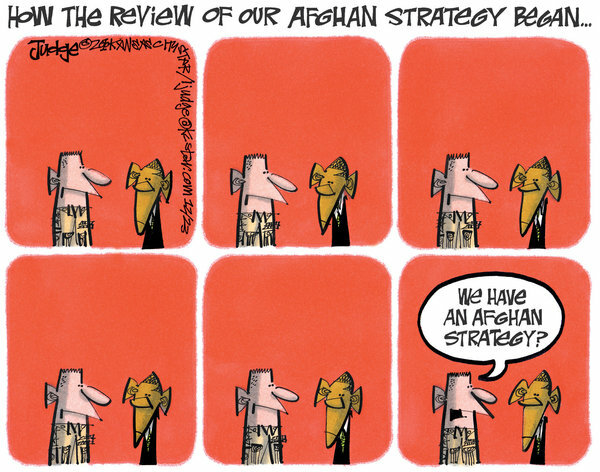 In plain English, coalition forces are not winning the Afghan War. They actually lost ground in 2010. If this is the situation after more than nine years of war, why should anyone believe the situation will improve with another four years of the same war? It won't. 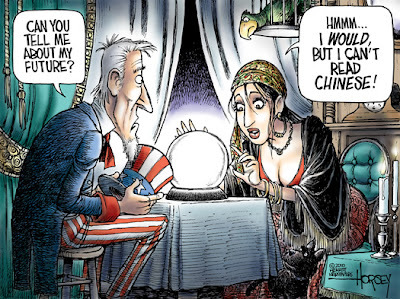 Despite the best efforts of our military, our government (starting with Bush and continuing with Obama) has gotten us embroiled in another Vietnam-like conflict that cannot be won. It is time to admit this and withdraw all of our troops from Afghanistan (and while we're at it, the 50,000 troops left in Iraq should also be brought home). Failure to do this will just mean more American soldiers will die while nothing is accomplished (except to continue protection of the most corrupt regime in that part of the world). It's just not worth it. While Sarah Palin is a queen to the teabaggers in the Republican Party, it has been known for quite a while that she is very unpopular outside of that group. I think she thought her recent television series showing her posing as someone who enjoys the outdoors and hunting and fishing would help to increase her popularity. But it looks like that simply hasn't happened. Her initial show had some pretty good ratings -- about 5 million viewers. But that didn't last long. The viewership dropped by 40% in the second week and has been falling ever since, although there was a small bump in viewership when Kate Gosselin and her brood were on the show. Evidently people wanted to see the train wreck that would happen when these two dim-witted women clashed. But the show doesn't seem to have helped Palin with her favorability ratings among American voters. A new survey by Public Policy Polling shows she still has very high unfavorability ratings, and that is especially true in her home state of Alaska (where people know her the best). Of the general population in Alaska, only 33% give her a favorable rating while 58% rate her unfavorably. It's not surprise that Alaska Democrats don't have a good opinion of Palin, but it seems that she's also very unpopular with Alaska independents -- only 25% give her a favorable rating compared to 65% who give her an unfavorable rating. The only group giving her a favorable rating in Alaska is Republicans, and even there it's only a 60% favorable rating (and a 30% unfavorable rating). It looks like Alaskans have had their fill of the quitter from Wasilla. Palin may have a chance in the Republican primary where the teabaggers rule the party in many states, but unless she can drastically improve those numbers she will not have a chance in the general election. Not only has the television show failed to improve her numbers, but she has not taken the opportunity to make herself more knowledgeable about national and world issues (a serious disappointment for many Republicans). She seems to think she can be successful with nothing more than country witticisms and a butchering of the English language. That did work for George Bush, but after his disastrous presidency, I think the voters are expecting a little more now. During the height of the health care debate I kept hearing one lie over and over again. 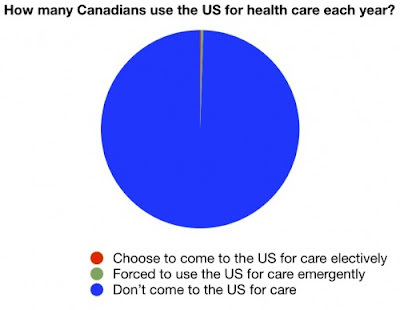 The ridiculous myth says that the American health care system is so wonderful and the Canadian "socialist" healthcare is so bad that Canadians are scrambling to come to the U.S. to get medical treatment. Of course all a person has to do is talk to a Canadian to know how big a falsehood that is. While they'll admit their system has some problems (all systems do), there is no way they'd trade their system for ours. The above chart, found at The Incidental Economist, shows the truth. Only an extremely tiny portion of Canadians get medical treatment in the United States -- and most of them needed emergency treatment while visiting the U.S. for another reason. So lets drop this silly myth in the trash bin, where it always belonged. This is by no means a comprehensive list. But these names jumped out at me and I thought they were deserving of a mention. Maybe you know of others (or have your own list). I'd love to hear your suggestions. If you've read this blog for very long then you probably know I am against cell phone driving and have written several posts calling for it to be outlawed across the nation. Anyone who has driven for any length of time will have many stories of people driving dangerously while talking or texting on their cell phone. And the National Transportation Safety Administration has produced evidence that cell phone drivers are as dangerous to the general public as drunk drivers. There is little argument over this. Almost everyone knows that cell phone driving is very dangerous -- for everyone else, that is. The crazy thing about this is that while people know it is dangerous, nearly everyone thinks they are the exception to the rule -- while other people pose a risk to others, far too many people think they are able to drive while talking or texting on a cell phone without posing any risk to others. It's like drunk drivers -- I never heard one say they were too drunk to drive (although they will admit that drinking and driving is dangerous). That is why I believe that new laws are necessary to ban cell phone driving. These people, like drunk drivers, will not stop this dangerous activity until they are forced to do so by the police. Fortunately, it looks like at least some legislators are paying attention to this problem. State Representative Jose Menendez (D-San Antonio) says, "I am trying again because this has gotten out of hand and it has become a road safety hazard. People talking or texting while driving are causing accidents, or, putting themselves and others at risk of serious injury or even death." Rep. Menendez has introduced a bill (HB 37) for consideration when the new legislative session begins next month. State Senator Carlos Uresti (D-San Antonio) has introduced a companion bill in the state senate (SB 119). Uresti says, "Studies have found that texting can impair a driver as much as being drunk, so an outright ban just makes common sense." Menendez has introduced his bill in the last three Texas legislative sessions, and the bills all died without ever getting out of committee. He believes the bill will have a better chance in the coming session because there has been a lot of recent negative publicity about cell phone driving and a larger percentage of the population now sees this as a dangerous activity. A recent Texas Transportation Institute survey showed that 52% of Texans would support a law banning cell phone use while driving. The question now is whether cell phone companies will lobby against the bills. Menendez believes he can convince them this is not an anti-cell phone issue, but a safety issue. And he might have a point. Some cell phone companies, like AT&T, already have programs discouraging use of their cell phones while driving. I still have serious doubts about whether the Republican-dominated legislature will pass such a law, but I hope I'm wrong. 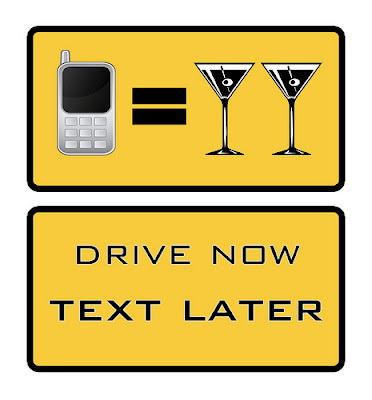 A law banning cell phone driving could save a lot of lives and injuries. Does god like to pick on his own? From the blog of Yellowdog Granny. Is It The Time To Change Filibuster Rules ? There is no doubt that the rules of the United States Senate have been a thorn in the side of progressive Democrats for the last couple of years -- especially the filibuster rule. 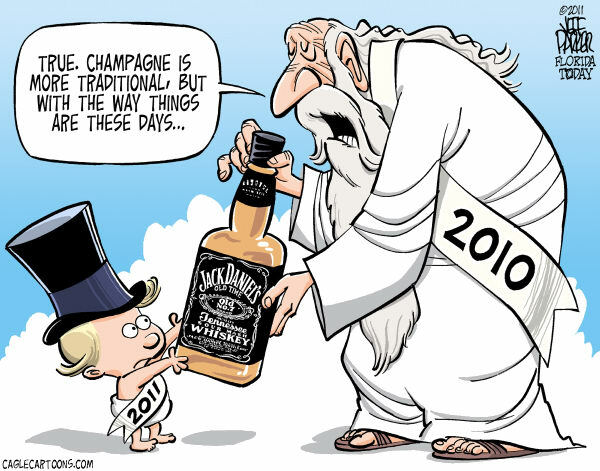 The Republicans, although outnumbered, have been able to use the filibuster to kill many progressive bills badly needed by the country (like equal pay for women and the stopping of job outsourcing), and used it to water down other legislation to protect corporate fat-cats (like heath care reform and regulation of Wall Street). 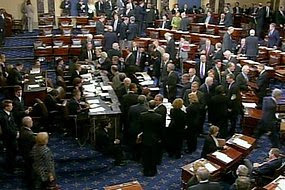 In addition, the filibuster has been used to block the approval of many federal judges and other political appointees. While the president and the Democrats were elected on their promise of making changes in this country, the Republicans have been able to use the filibuster to block many of those changes. They blocked so much change that to many voters it looked like the Democrats were failing to live up to their promises (and the voters punished them for that in the last election). Now the Senate Democrats are talking about changing the filibuster rules. They want to make it harder to filibuster a bill (and actually make senators take the floor and do a real talking filibuster). In fact, recent news reports tell us that the Democratic caucus is unified in wanting to change the filibuster rules, and with their slim majority they might be able to do it. Personally this seems like a case of wanting to close the barn door after all the animals have escaped. I thinking this might be time to leave that barn door open in the hope that a few animals can be chased back inside. Let me explain what I mean. For the last two years the House of Representatives had a substantial Democratic majority, and they used that majority to send a lot of good progressive bills to the Senate. It was those progressive bills that Senate Republicans used the filibuster to kill or water down. But that has changed. In the new Congress the House of Representatives has a clear Republican majority. They will not be sending the Senate any progressive bills -- just the opposite. The House will be returning to the Reagan/Bush policies, especially the "trickle-down" economic policies that favor the rich and hurt ordinary Americans. It will be up to Democrats in the Senate to change or kill these Republican efforts to turn the recession into a depression. And there will be more Republicans in the Senate -- enough that, combined with blue dogs like Ben Nelson, they might be able to get many of those House Republican bills approved. My point is that while the filibuster hurt progressive Democrats for the last two years, it may be their saving grace in the next two years. They might need to use it to stop the insane Republican efforts to give the rest of our country to the rich. I'm kind of torn on this issue. I don't like the filibuster rule as it stands. And yet, it may be the only way for progressive Democrats to stop the worst of the Republican policies. Frankly, I'm starting to think this is not the time to change the filibuster rule. The Republicans showed everyone how effective it can be to stop an agenda. The Democrats should leave the rule as it is and use it to block Republican excesses. DMN Names Perry It's "Texan of the Year"
After 26 years in public office, Perry still is undefeated. And now, after winning an unprecedented third full term at the helm of state government, he has made history. While his record as governor remains open for discussion, Perry's political instincts have been nearly infallible. With cowboy swagger and bold declarations, he has carved his own path, ducking debates and flirting with secession. Foes and fans of our polarizing governor both acknowledge Perry's impact on Texas politics. In a weak-governor state, he has seized a bullhorn, making himself heard across Texas and beyond. For those reasons, Perry is the 2010 Dallas Morning News Texan of the Year. Fence-sitters are rare when talk turns to Rick Perry. Supporters and allies laud him as a consistent, dependable conservative. He is fiercely protective of business interests and committed to keeping taxes low in Texas – even if the resulting cutbacks are painful. He has become the face of Republicanism in one of the nation's reddest red states. Perry's detractors – and there are plenty from both parties – point to the consequences of fiscal austerity, including the state's bottom-of-the-barrel rankings in categories from the rate of children without health insurance to the number of adults without high school diplomas. They say the governor is overly concerned about political fallout and alarmingly unconcerned about developing and pushing through a coherent legislative agenda. To many, Perry appears ruthless, Nixonian even, as he transparently rewards friends and punishes enemies. His style raises a stream of ethical red flags. And despite his lengthy tenure, Perry can lay claim to few signature achievements, making him a more accomplished campaigner than leader. With these misgivings in mind, major newspapers across the state endorsed Perry's opponents this year – The Dallas Morning Newsrecommended Hutchison in the GOP primary and Democrat Bill Whitein November while offering a withering review of the governor's ethics and leadership. 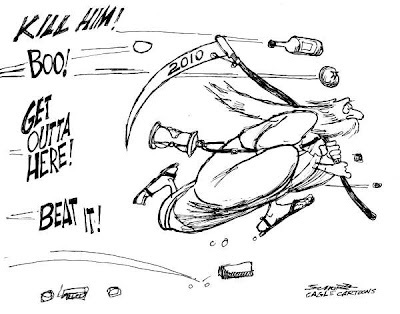 While Perry did not earn a vote of confidence, there's no denying his mark on Texas in 2010. I must admit that I was shocked when I first heard about the DMN choice of Perry. I consider Perry to be a continuing embarrassment to the state and one of the worst governors that Texas has ever had. But after thinking about it, I admit that it was probably a good choice. 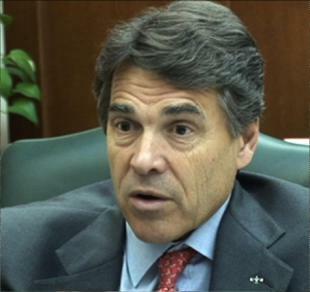 Understand that choosing Perry for this "honor" does not mean he is the smartest or nicest or most likable Texan. It doesn't mean that he has done the most to make the state a better place to live. It doesn't mean he is a good role model or even a good governor. If those were the criteria, then he surely won not have won. But like it or not, Perry has kept the state in the news during the last year (although in a way that makes Texas look like the nuttiest state in the Union). His crazy actions and pronouncements, while making no sense, have consistently made headlines -- both in the state and national media. I'm talking about things like saying Texas should secede from the United States, or that Social Security is just a Ponzi scheme, or turning down hundreds of millions of federal dollars for education because he doesn't want Texas to have to meet national education standards. And while I would like it to be otherwise, Perry is the most powerful politician in the state. No one in either party even comes close. He was the unadulterated king of Texas politics in 2010. And the fact that he is so powerful in the state is a humiliation that people in few other states have experienced -- except maybe for Alaska (Sarah Palin), Minnesota (Michele Bachmann), Iowa (Peter King), Arizona (Jan Brewer), Oklahoma (Tom Coburn) and Mississippi (Haley Barbour). Rick Perry is not a good person or a good governor (and I sincerely hope he doesn't run for national office, since he would be even worse than George Bush). But I reluctantly agree with the DMN, he probably is the "Texan of the Year" -- to the state's great shame. Now I need a few drinks to get that thought out of my head. 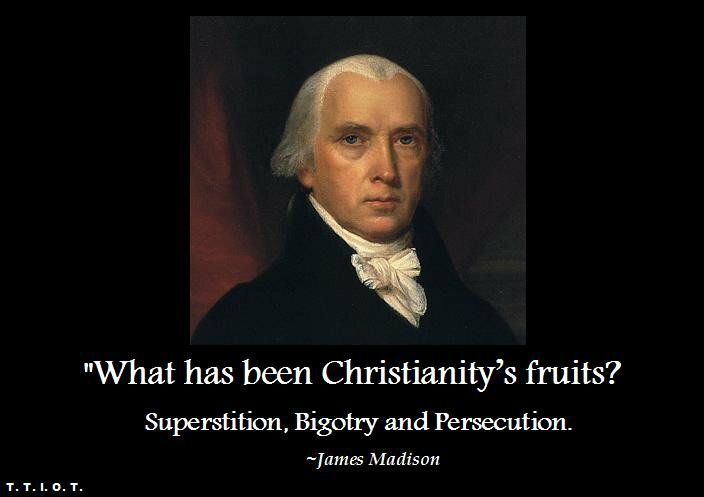 America was founded as a secular nation despite what some fundamentalists want us to believe. From the blog of Yellowdog Granny. Mankind has known for a long time that one of the best sources of energy is the Sun. It powers the world and has done so since the earth was formed. The problem for mankind has been to capture that energy and use it as we see fit. Solar panels have been developed and are in use, but the energy from them cannot be bottled and transported to some other location -- it must be used where it is collected and can only be saved for a short period of time (like with batteries). But researchers in the United States and Switzerland may be on the way to solving that problem. They have invented a solar machine (pictured above) which uses the Sun's energy to create a fuel that can be stored and transported. The machine has a chamber filled with ceria (cerium oxide) -- which is readily available as the most abundant of the "rare earth" metals. Water or carbon dioxide is pumped into the ceria chamber and is heated by the Sun's rays. The product is either hydrogen, or a combination of hydrogen and carbon monoxide which can be used to make a synthetic fuel. Either way, the product can be stored and transported. So far, they are only harnessing about 0.8% of the solar energy taken into the chamber. But scientists say with a smaller aperture and better insulation they believe they can get that up to at least 19%. That could make the process very viable, especially if a low carbon-use policy is adopted (as is needed to avoid global climate change). This is very exciting news, and it's just the kind of innovation that is needed. Even if a low-carbon policy is not quickly adopted, we are probably at or near peak oil production (the point at which production starts to fall no matter how much new drilling is done). Thank goodness at least a few scientists are thinking about the future -- even if governments are not. Political Cartoon is by Steve Greenberg in The Ventura County Star. The folks in California failed to legalize marijuana possession in the last election, but I can't believe legalization is very far away for the United States. Attitudes are changing, and that is evident even in the courts of this country. More and more juries just don't want to convict defendants for simple possession of marijuana. Back in March of 2008 I wrote about an amazing incident where I live -- in Amarillo, Texas. Amarillo is perhaps one of the most right-wing fundamentalist parts of this nation, but attitudes are even changing here. The county was prosecuting a man for possession of marijuana. The defendant admitted possessing the drug, and said it was because it helped him in his battle with AIDS. It took the Amarillo jury only 11 minutes to find him innocent. The jury was not going to convict a sick man for marijuana possession, regardless of what the law said. It happened again last year -- this time in Illinois (which, like Texas, has no medical marijuana law). Police had arrested a Vietnam veteran with 25 pounds of marijuana (and another 50 pounds growing in his home). That would be enough marijuana most places to charge the defendant as a dealer. 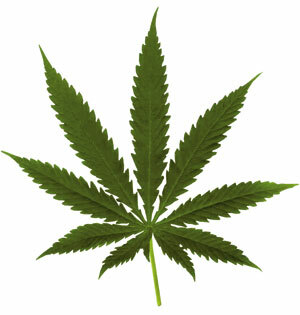 The defendant said he was growing and possessing the marijuana to treat his pain and post-traumatic stress. It took the jury about 2 hours to find him innocent of the charges. Last week in Montana there was another incident like this. The trial hadn't even started. As the attorneys were questioning the jury a woman said she couldn't convict someone of possession of marijuana (and this wasn't a defendent who claimed he was using marijuana because of an illness). 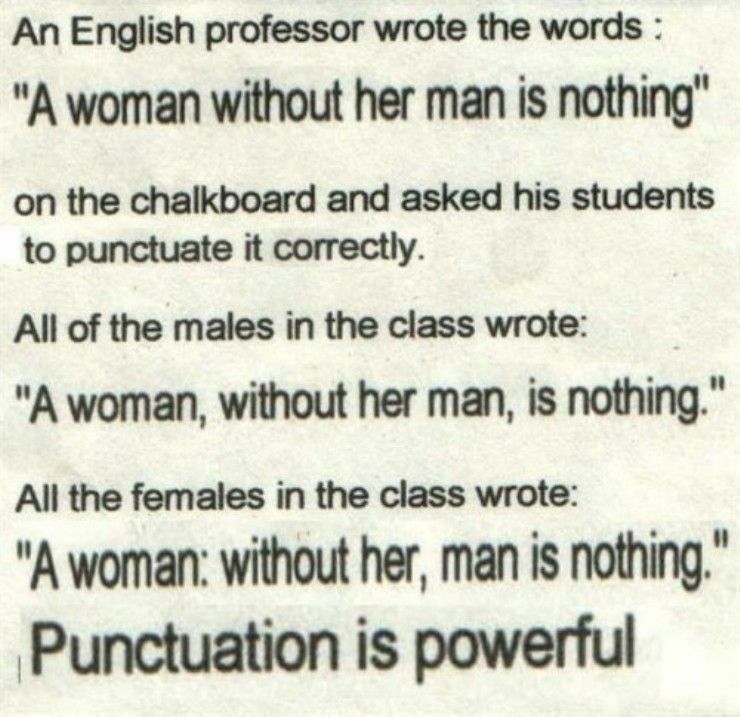 Then five other people raised their hands and said they agreed with the woman. Afraid he wouldn't even be able to get a jury seated that might convict, the D.A. gave the defendant a plea deal of a reduced charge. Now Texas, Illinois and Montana are not liberal places -- far from it. If juries in these states are balking at convicting people for possession of marijuana, then attitudes are truly changing in this country. It might be a little while yet, but every day we come a little closer to legalizing marijuana. And that's just what needs to happen. It makes no sense to be putting people in prison and ruining their lives for possession of marijuana, especially since it is not a toxic drug (there are no deaths from marijuana use) and is much safer than legal drugs like alcohol and tobacco. In a free country, as America claims to be, a person should be able to possess (and grow and sell) marijuana. And the government should be able to tax the sale of marijuana -- which could provide these entities with billions of new dollars (and take this lucrative business out of the hands of the drug cartels). There are lots of good reasons to legalize marijuana and no good reasons to keep it illegal (except to keep throwing money away funding the failed "war on drugs"). Political Cartoon is by Drew Litton in The Rocky Mountain News. A few years ago Texas had a short pledge that any citizen could recite with pride. 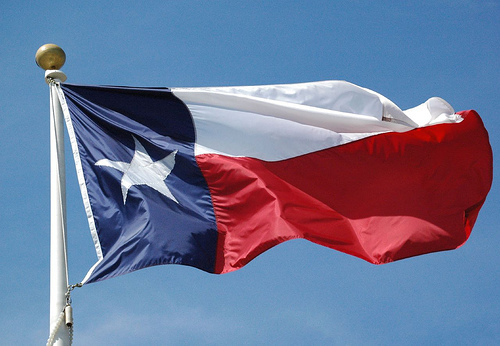 The pledge said, "Honor the Texas flag; I pledge allegiance to thee, Texas, one and indivisible." But that wasn't good enough for the state's right-wing fundamentalists. They felt that only god-believers should be able to recite the state pledge, so they amended the pledge to include the words "one state under God" (which was inserted right before the words "one and indivisible"). Of course this defeats the purpose of the pledge. A pledge should unite citizens to support their state, but the religious addition actually divided citizens. The unnecessary addition meant that millions of Texans could no longer feel comfortable saying the pledge (at least 2.5 to 3 million Texans, since more than 10% of the population do not believe in god, and most of those resent having god-belief shoved on them without their permission). But it turns out the right-wing fundie legislators made a mistake when they passed the law. While they changed the pledge that is recited in some schools and government meetings, they forgot to include the pledge that is said when a Texas flag (pictured above) is retired. And since they didn't designate the change also applied to flag retirement ceremonies, by law the old pledge (without god) is still recited at those ceremonies. 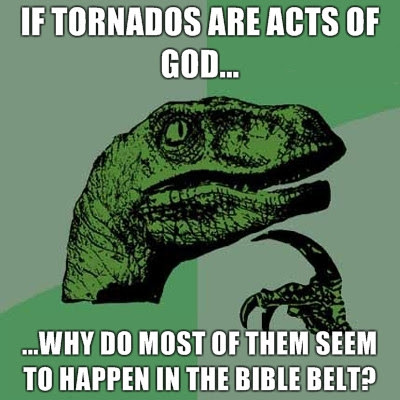 Can you imagine the horror of fundie christian right-wingers when they learned of this oversight? That meant that millions of atheists, agnostics and skeptics could (and probably do) still recite the pledge at these flag-retiring ceremonies. That just wouldn't do! Only god-believers should be able to recite the pledge! But the egregious mistake is about to be rectified. State Senator Glenn Hegar (R-Katy) is introducing a bill in the new legislature when it meets in January to put the phrase "one state under God" into the flag retirement pledge. After all, the state can't have the millions of non-religious Texans reciting the pledge in any kind of ceremony! This is nothing short of ridiculous. Millions of Texans are without jobs and are having trouble feeding their families. Texas is the worst polluting state in the nation. More than a quarter of all Texans have no health insurance (between 6 and 7 million). Texas schools are hurting, with teachers being laid off and nearly 30% of students failing to graduate high school. And the state is facing a $25 billion deficit for the next biennium. And yet, Sen. Hegar is worried about inserting god into the pledge. It's a good thing Texas doesn't have any real problems, so legislators like Hegar can devote his time to further dividing Texans instead of helping them. He has forgotten (or doesn't care) that freedom of religion also includes the right to be free from religion (and his bill is a violation of that right). I wish all my readers and fellow bloggers a very happy and safe winter solstice season holiday (or christmas, kwanzaa, hanukkah, festivus, ashura, pancha ganapati, sun wukong, yule, bodhi, humanlight, boxing day, or however else you wish to designate this holiday season). 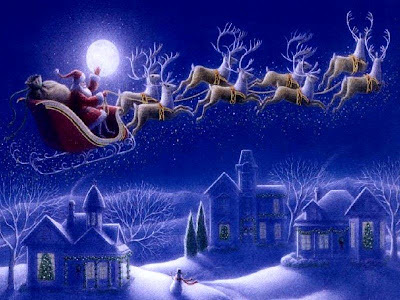 Both religious and non-religious people have celebrated this time of the year throughout history nearly everywhere in the world. That makes this the perfect time to forget our differences and exhibit good will (and peace) to all our fellow humans. May you all have a joyous holiday season. Christmas is probably the most anticipated and celebrated of any of the holidays here in the United States. A recent Gallup Poll found that 95% of Americans celebrate the holiday in one way or another. This number has remained pretty consistent since Gallup began measuring it in 1994 (with the numbers ranging from 93% to 96% in that 17 year stretch). 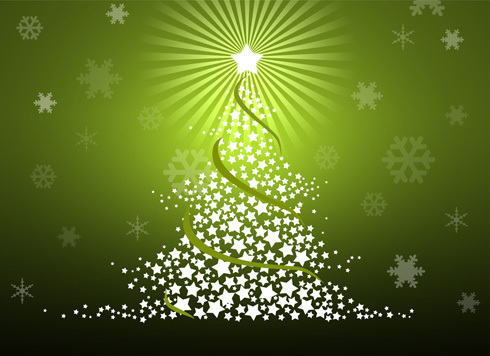 For many christmas is a very religious holiday, and for others it is just somewhat religious or even purely secular -- as the holiday is celebrated by 80% of us atheists and other non-christians. According to the poll about 51% of those who celebrate the holiday believe christmas is a strongly religious holiday. Another 31% say it is a somewhat religious holiday, and 17% celebrate christmas as a purely secular holiday. However you celebrate this day and season, I hope it is a happy and safe time for each and every one of you. 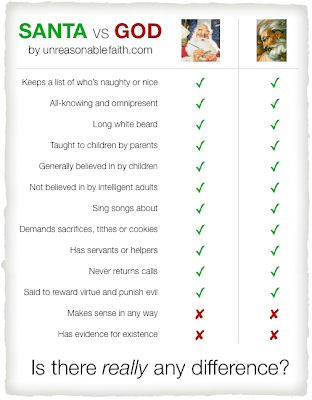 The excellent website Unreasonable Faith has, as a public service, decided to show us the difference between Santa and god. Unfortunately, there doesn't seem to be any difference. There is absolutely no evidence that either exists outside of our imagination. 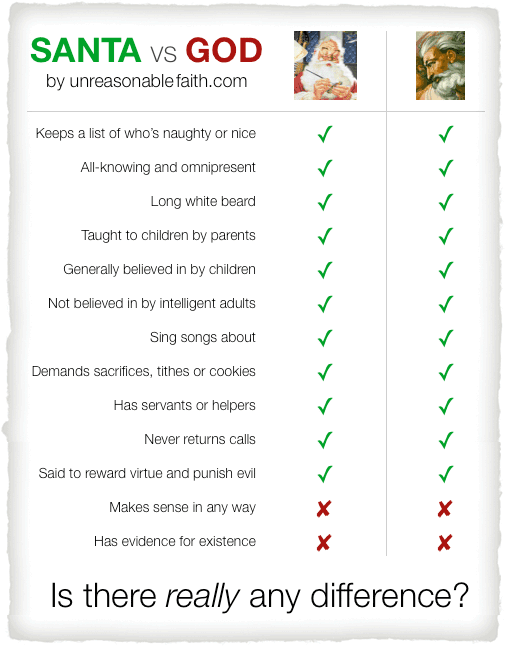 People believe in Santa because they want to do so, and those who believe in god do so for that same reason. It is their right to believe in any kind of fantasy they wish to, but they really should stop trying to force their own myths on other people. 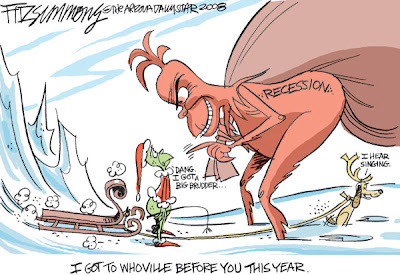 While the super-rich celebrate their massive tax cuts and enormous bonuses in this holiday season, many other Americans are still in the throes of the continuing recession. They are jobless and having trouble just putting food on the table for their families. 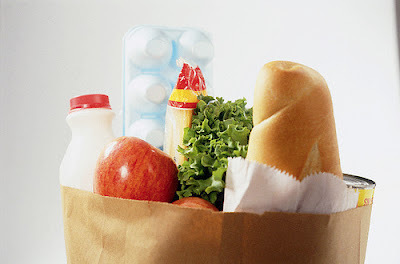 The Department of Agriculture recently announced that nearly 43 million Americans are currently receiving food stamps -- about 14% of the total population in this country (and the number is rising each month). "With the nation's unemployment rate still high and the economy sluggish, a growing number of people are giving food this holiday season. But it's not fruitcake, eggnog or Christmas cookies. Instead, the quiet voice of frugality is prompting consumers to wrap up baskets of kitchen staples, boxes of meat and grocery store gift cards to help loved ones stock dwindling pantries." 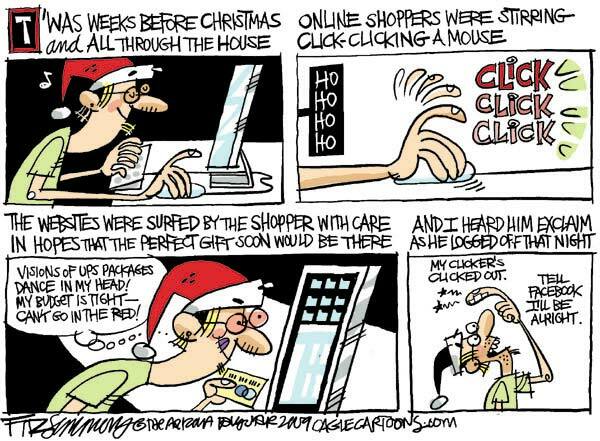 It seems that for many the grocery store has become the place to shop for gifts for loved ones. It could be a gift basket of staples or a grocery store gift cards. In fact, industry analysts say grocery stores will rank fourth in gift cards this year (behind only discount, department and drug stores). With the unemployment situation not expected to get better anytime soon, maybe for years, they could keep moving up that list in coming years. Is it any wonder that many Americans are very angry with both political parties? Instead of concentrating on creating jobs to help ordinary Americans, the politicians would rather waste time arguing over how much money they will give away to the rich and how they can help corporations to continue to export good American jobs. And now they want to cut the few programs that actually help people, like Social Security. 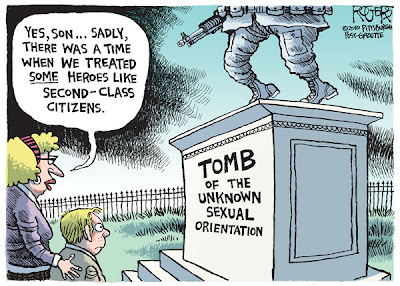 It looks like the politicians have forgotten why they were elected. Political Cartoon is by Steve Breen in the San Diego Union-Tribune. 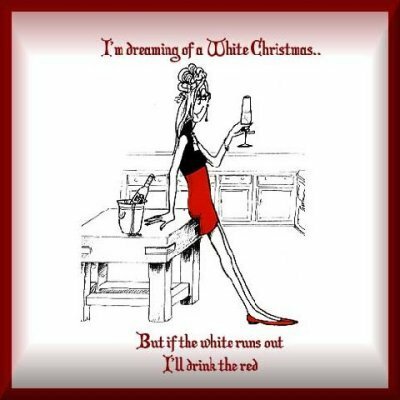 Some christmas dreams are easily attainable. From the blog of Yellowdog Granny. Although recent polls have shown that the number of Americans who are living their lives without religion is growing (atheists, agnostics, skeptics, etc. ), it is still a fact that this is definitely a religious country. 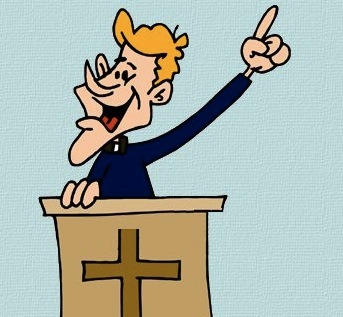 A recent Rasmussen Poll shows that about 80% of Americans say that religion is at least somewhat important in their lives. That's still a big percentage. And there are those fundamentalists on the right-wing who believe this means that religion should rules politics and the Bible should trump the Constitution. 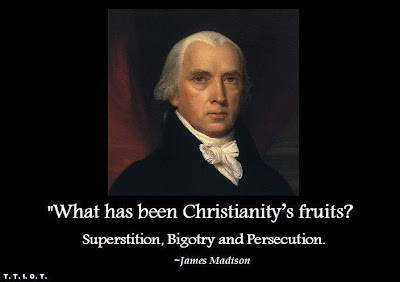 Thankfully they do not make up a majority of the population, or our democracy would soon degenerate into a theocracy -- much like the ones our forefathers were trying to escape from when they came to this country. That same Rasmussen Poll, conducted December 17th and 18th (with a 3% margin of error), shows that over half of all Americans (53%) do not consider a politicians religious faith to be important when they go to the polls to vote. Another 48% think it is as least somewhat important. But as fairly evenly split as a candidate's religion is among voters, there is something else that nearly all voters agree on. They don't want their religious leaders trying to tell them how they should vote. A whopping 79% of Americans think it is inappropriate for their religious leaders to suggest how they should vote or what candidate they should support. Only 12% thought it was appropriate. In the last election the religious right tried to organize a mass political movement among religious leaders, and even encouraged them to announce from the pulpit who their congregation should vote for. Fortunately that fizzled out, and now we see why. Americans do not want their religious leaders involving themselves in politics in that way. Thank goodness. Maybe there is hope for the survival of religious freedom in this country.